Does your family love chicken nuggets but your budget does not? 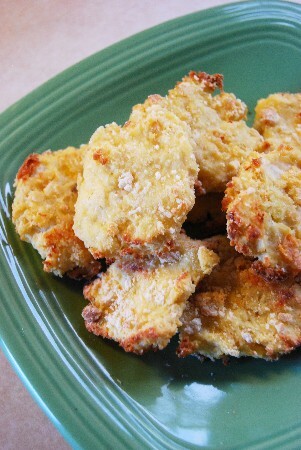 This great recipe for homemade Chicken Nuggets is sure to be a winner! We love these chicken nuggets at our house! The recipe is easy to make and these also freeze well so you can make a double batch and freeze what you don’t eat. One batch makes around 25 chicken nuggets depending on how big you make them. 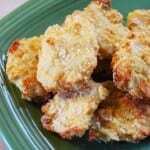 You can also use this recipe to form large round breaded chicken patties for sandwiches. These homemade chicken nuggets are sure to be a hit with the whole family. 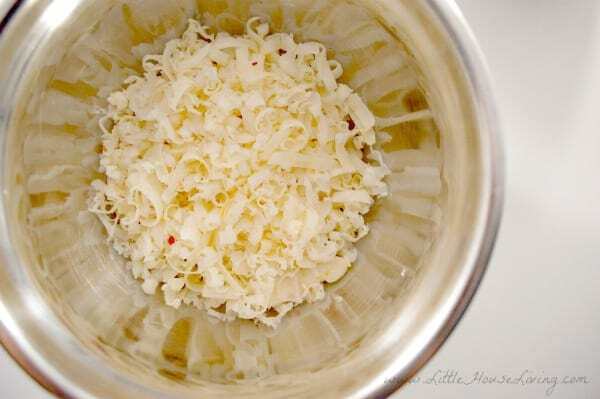 If you don't already have some bread crumbs, you can easily make them. Just stick some old bread in the oven and bake it til it's crispy, then I run it through a blender or food processor until I have fine crumbs. Add a bit of garlic and onion salt to flavor. Set aside for now. Start your chicken nuggets by putting the cooked chicken and the onion in the food processor until the chicken is shredded (but not paste!). Then add the mayo and egg and cheese to the processor and blend until mixed together. Form the mixture into small shapes and coat with the bread crumbs. Bake the homemade chicken nuggets at 400F for 18 or so minutes, turning halfway. Since you are using cooked chicken, you just need them to bake long enough to cook the egg and to stick together. I serve mine with this Homemade BBQ Sauce recipe. I’ve also make this Chicken Nugget dip to go with them before as well. Have you ever tried to make your own homemade chicken nuggets? I will email it to you and I will get it posted on monday for everyone! Hi! My four year old is addicted to Chicken Nuggets but I absolutely refuse to go to fast food for her to get them. I can’t wait to try this recipe for her. One question – the cooked chicken, what kind do you use (boiled, baked, grilled?). Thanks! I haven’t tried it yet but I’m guessing they would. If you try it, let us know! We’ve made the apple turnovers with crescent rolls and apple slices coated in a cinnamon/sugar mixture. Then pour a half can of Mt. Dew soda on top and sprinkle with more cinnamon/sugar! Then bake. It’s crazy good. That sounds like something my husband would love! Tried the cheeseburger pie…it was great! Got a recipe I made up 🙂 That I think you will enjoy. They were so good that only 1/2 the batch made it to the freezer. Even dh liked it :). Since I had used smoked chicken that I had deboned it tasted like barbecue when I dipped it into ketchup. Thanks for the recipe. This will go on a favorites list. Those look tasty! I love homemade chicken nuggets or strips. But your recipe with the addition of cheese sounds intriguing. I am going to have to give that a try! I bet my kids will love it! Thanks for linking your recipe up at Whip it up Wednesday too! Thanks so much for sharing this and all your other recipes and wonderful ideas. I made these tonight for my very picky daughter and she loved them. She also recently got diagnosed with Celiac disease, so i just replaced bread crumbs with GF rice krispies. Worked out wonderfully. The apple pie recipe is at the bottom of the chicken nuggets recipe. I don’t have a food processor and was wondering if I could blend it up in my Blendtec? Looks yummy and now I want an apple pie! As long as your Blendtec has like a pulse setting I think you should be fine. You just don’t want to make kitty food out of it by blending too much! LOL! No..I haven’t made those yet. On a similar subject..I saw how they made Tator Tots..I now know why my hands are so greasy when I eat the ready made ones..YUK..How about a recipe for those? My husband is allergic to mayonnaise- is there an alternative? What is he allergic to in the mayo Shelley? We actually use vegan mayonnaise since I can’t have too many eggs. I’ve been looking for a recipe for homemade chicken nuggets so I’m thrilled you shared this easy recipe!!!! Any one try it with out onions? These are delicious! I baked mine at 425 degrees on a metal rack coated with oil so they got a bit crispy. Thank you for sharing this recipe. What a great way to use up any leftover chicken. Do you think this would work for turkey? Thank you for the great ideas! Thank you for this recipe – I cooked a roast chicken the other day and was wondering how to use the rest of the meat – so I will try this as it sounds delicious! Hello, I just wanted to take a moment to say Thank you for all of theses posts-of recipes ideas and resources and this website. I am not sure how I found it but I love it! I have been inspired, and very pleased with what I have tried and a bit overwhelmed by what I want to try next. Thank you for all your wonderful posts! I was wondering if you (or anyone!) have ever used an alternative flour?….rice? oat? We can’t have wheat in our house, but I think these look so tasty! I haven’t yet but I do think these would work gluten free and using gluten free flours. Awesome, I’m glad they liked them! we just butchered some roosters,im thinking this would be perfect for those tougher ,older birds.we cook them off in a slow cooker till the meat falls off but its still stringy,there always great for soup if you cut it up (chicken corn soup and chicken chili)but since you run it through the food processor,it makes it perfect,i like the ideas of patties to and knowing whats in them,thanks for the ideas.have a blessed day. Thank you so much for all the great recipes!!! Is there a reason why this one calls for cheddar cheese? Could I mozzarella instead? It just adds some great flavor! You could definitely try mozzarella! What can I use instead of egg? My granddaughter is allergic to them. Have you used any egg substitutes before like flax seed + water? A substitute would work in this recipe instead. Hi I really want to make the homemade nuggets using left over chicken but wondered if you could confirm the weights and measurements for the UK please? I am not seeing the mini apple pie’s recipe?? sorry i must not be able to see it. 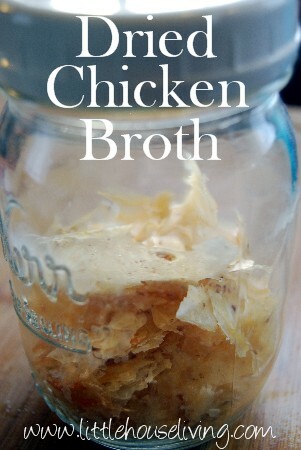 OMG I’m doing this with all our leftover chicken from now on! Was looking for a quick dinner solution and came across this. We didn’t quite have 2 cups of leftover chicken so I mixed in about 1/2 cup tofu to make up for it. This of course immediately turned the chicken / onion mixture to paste which you said not to do, so I was a bit worried. I also forgot to add the cheese. Anyway – my picky eaters are all very happily scarfing it down as we speak! It turned out pretty good and next time I plan to use all chicken and not forget the cheese. I hate buying chicken nuggets but they love them so much. Glad to have this healthy alternative! I have to check this out! Thank you. Healthy food is important to me. Glad I have someone who likes to feed her family well sending these blogs to me. Especially, because we have food sensitivities. Thanks also for showing how stay at home moms have great value in this world. We can have a lot of creativity, fun, and connection with our families. It is great to connect with all these wonderful frugal, creative ideas that you present through your blog! Thank you for all the kind comments you leave, Pamela, I love to read them! I made these last night and we all loved them! I tweaked them to make them egg/gluten free, which was easy. Excited to make them again! Delicious! !